LANDOWNERS remain concerned over the proposed widening along Walter Road West, despite Bayswater City councillors voting to reduce it from 4.9m to 2m at last night’s committee meeting. The initial proposed road widening wasfor a shared bicycle and bus lane, as part of the modified Morley Activity Centre Structure Plan (MACSP) and the amended MACSP policy. 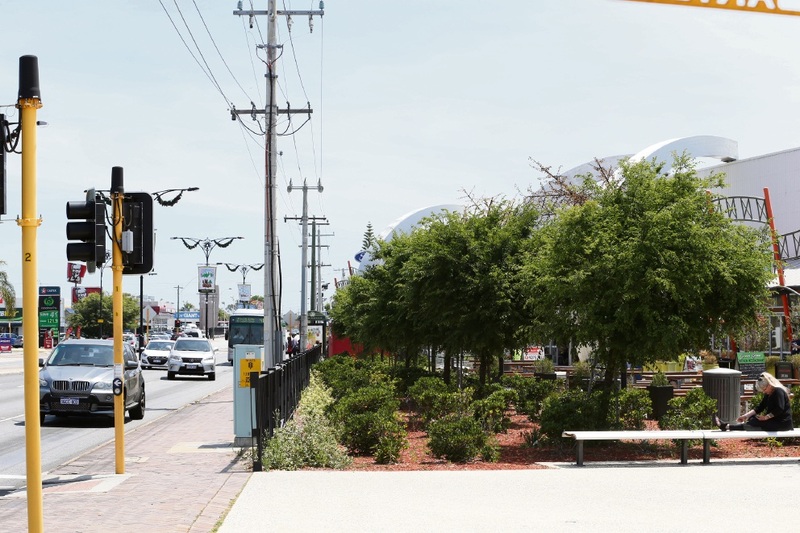 Council passed the motion for a bicycle lane; however, the bus lanes will be located within the existing road width in the medium to long term. The motion also included minor modifications and a submission of the modified plan to Western Australian Planning Commission for final approval. According to an officer’s report, the City and the Transport Department reviewed the proposal and concluded the 2m widening would enhance the cycling environment in the town centre and reduce the impact on adjacent landowners. In December, Coventry Village owners expressed concerns with the proposed 4.9m road reserve that could lead to the demolition of the outdoor dining area and would have a “catastrophic” impact on the centre. Transcore managing director Behnam Bordbar, who submitted a commissioned review of the structure plan, made a deputation and cited issues including increased traffic, dust, vehicle and noise pollution. The review highlighted the proposed bus/bicycle lane was based on an estimated one percent increase in volume by 2031 and did not warrant taking 4.9m of land for the lane. However, according to an officer’s report, the claim was “incorrect” because there would be at least an 86 per cent increase in the total number of public transport trips. Mr Bordbar said the reduced widening was a “step in the right direction” but the initial issues may remain. “The officer’s report lacked details and the extent of the widening has not been clear,” he said. City planning and development services director Des Abel said if the owner agreed to move the existing 2.6m wide footpath, the bicycle lane would use that place and there would be no need for road widening. “It (bicycle lane) will in the future link up Walter Road West to other bicycle lanes and bring more people into the town centre,” he said. Coventry Village director Mike Holtham said the City had not informed landowners about the extent of the 2m land grab. “The imposition of a 2m road widening would have a significant impact on Coventry Village; which has Council approval to build nine take away food kiosks on the affected land,” he said. “It could affect other land owners between Russell Street and Collier Road besides Coventry Village. Mr Holtham said the proposed bicycle lane would not connect to other cycle paths and if one was created, it should start at the bus port.